Activities for Men . . . . While walking through most Long Term Care facilities you will easily take note that the ratio of female versus male residents is significantly tipped towards the female population. Women residents outnumber men at the rate of about 2 to 1 (partly due to the fact women live longer than men). Contributing factors that tip the scale further is that it is not uncommon to find that approximately 80% of the staff is also female and the majority of visitors in general are female as well. Men are simply outnumbered in Long Term Care facilities. America seem to tilt towards female”. Upon further glance it may appear that a vast number of activity calendars have more programs geared for women than men. Activity calendars often do reflect a variety of feminine-based domestic activities such as cooking, baking or “unisex” geared activities. One might speculate that Activity Directors focus on meeting the needs of the majority (female) residents but it is more the case of how much more challenging it is to create male oriented programs than it is for the female persuasion. Consider some of the following factors that contribute to the increased challenge in planning for men’s activities. Of the less than 30% of male residents in Long Term Care facilities, approximately 1/3 of the population present with less ability to communicate than women due to their respective medical or mental status. Some men suffer from strong fear of failure; particularly relating to starting a new skill in which they may appear incompetent to others. Men of past generations may feel embarrassed or self consciousness relating to their particular disability and how it may cause unsuccessful outcomes. Career responsibilities that have long since pasted may leave a sense of loss or void that may damage self-esteem, and instill feelings of uselessness. 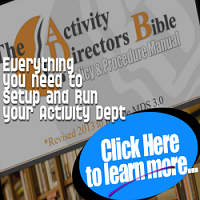 All of the above are useful information when planning for men’s activities but are only a fraction of the possible scenarios that today’s Activity Director needs to consider while planning for a balanced and purposeful activity calendar. Additionally, there are lifestyle differences that contribute to men’s personal attitudes regarding leisure pursuits between white collars versus blue collar workers. White collar workers engaged in less physical job related labor, shorter work d hours and benefited from higher paying salaries than blue collar laborers. Thus, white collar workers were more likely to feel more energetic, have additional time in the day for leisure choices and possessed the financial means that allowed him to select from a range of interests and pursuits. Below are some considerations that may help you to best identify how to plan for men’s activities, specific to Blue Collar Workers. Men put in exhaustive long hours and often were left with little or no time for leisure pursuits thus they tend to be lacking in leisure related skills. What little available free time in any given day was spent with family members, particularly with their children. Minimal earnings did not allow for financial means to spend on leisure activities. Most likely you already have a standardized assessment form. Take some time to review your assessment form and activity check sheet and take note of the types of activities that may be more specific to male residents. You can create a framework of questions that will help you probe for more details regarding his preferences. As you check those areas of interest expressed by your resident make it your mission to elicit and document more information describing what makes his specific selection particularly appealing. Can you describe what your sailboat looked like? Where is your favorite sailing destination? What time of day do you like go sailing? Who do you like to be with when you go sailing? How often did you go sailing? How do you take care of your sailboat? Your resident’s answers can be used to engage him in a conversation at a later time about this past time experience and will aide in re-affirming a particularly meaningful memory. Men of this generation often thoroughly enjoy exchanging stories of past days of glory, sports or children and grandchildren’s accomplishments. Look within your male population to group residents with common denominators that you can foster in friendship and mutual camaraderie. 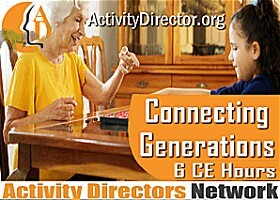 Once you incorporate your residents’ noted interest in the activity calendar and highlight care plan objectives you are well on your way to providing for the needs and interests of your resident as a unique individual within the facility community - thereby meeting federal laws for nursing homes. Men might be the minority in this club but given the opportunity, appropriate resources and a through comprehensive assessment, men may not only be able to participate but contribute greatly by adding to the overall program enrichment through a well balanced activity calendar schedule. 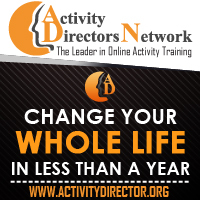 Although the Activity Director professional who will focus on planning these activities keep in mind that the ALL staff members are charged with ensuring that the needs and interests of each individual is met to attain or maintain the highest practical physical, mental, and psychosocial quality of life possible. Such programs are essential to the health and well being of all men and women living in Long Term Care facilities today. Below are a number of ideas for your consideration but remember, that you’re objective is to find a “match” between your resident’s needs and interests to the many potential ideas you come across. Train Hobby Club – The collection for the train hobbyist is numerous, everything from the train itself to the landscape and surrounding villages will keep your resident busy. Look for a location in the facility where you can leave the train convoy permanently set up for residents to watch throughout the day. Car Talk – Collect car magazines and new car brochures and solicit a discussion about new cars vs. the old cars, foreign vs. domestic, manual vs. automatic transmission, 2-door, 4-door, convertibles, etc. Car Wash – A simple hose, bucket, soap, sponges, and towels is all that’s needed. Solicit facility staff members to volunteer their car for washing. Each resident may choose whether to wash, rinse, dry, or just watch the scrubbing and polishing busy work. Rope Tying – Former professionals and wanna-be ship mates will enjoy trying and re-trying various rope techniques to get it right - while sharing sea worthy tales. If there is no sea captain in the crowd just purchase the many rope tying teaching books out there and dawn your sailor hat to get the ship moving. Santas Workshop – Doll houses, airplanes, train kits, bird house, mailboxes etc., make for a super great Santa Shop assembly line. Finished product can be donated to non-profit organizations such as Toys for Tots during the holidays. Your men will love knowing how meaningful their labor of love will be to a child. Sports Time – Watching a live or a pre-recorded horse race, ballgame, boxing match on a big-screen will get the crowd in the mood. Set out peanuts, popcorn, and pretzels. Serve non-alcoholic beer and soda. NOTE: keep in mind any issue with potential chocking risk/consult with nursing. Competitors Club – Horseshoes, bean bag tosses, badminton, and bocce ball, balloon toss are fun games that involve a lot of movement while encouraging interaction, socialization, and teamwork. At the Movies – Ask the residents to select a film (a western, war movie, or mystery). Schedule a matinee or an evening showing. Supply hot-buttered popcorn, movie-style candy, and soda (if permissible- relating to potential chocking/consult with nursing). NOTE: War movies may be triggering for some residents. Be sure to vet your residents for potential behavior relating to aggression that may be triggered from viewing war movies. Honoring Veterans – Military veterans are often eager to exchange stories about the war days as a way to bond and honor veterans and the past memories. Create a list of “military positions” held by your resident and post in an easily visible location to honor their service. Casino Night – Organize a game of dominoes, checkers, chess, or a card game (poker or Blackjack). Be sure to decorate with all the ambiance and glitz and glamour to set the tone. Arches ranging from roulette wheel to gleaming gold circle to let the residents make an entrance. Tool Bits – Provide a variety of different sized nuts, bolts, and washers and a few empty containers. Either direct the person to sort the items or assemble the items and start up a conversation and provide pictures about what each item might be used to make. NOTE: Be aware if there is any evidence whereas you believe that your resident may want to ingest non-consumable items. Trade Show – Journey out to a local hardware store, such as Home Depot or Lowe’s. Make a project list and ask the men to find the supplies to complete the job. Many men enjoy discovering new tools and many will spend countless hours at a hardware or home-improvement center. Shoe Shine – Contac a local shoe shop to enlist the tradesman to come to the facility to show off his craft to the men of the house. Your residents can wear their Sunday best shoes for this shoe renovation. Offer newspapers, magazines, books for reading while resident shoes get a new lease on life. The smell of shoe polish may evoke memories and provide opportunities to reminisce. Card or Coin Collection Club – Many men collected and traded baseball cards or coins when they were young. Gather a collection of baseball cards or coins and set up a sorting/organizing station. Obtain detailed information about the items to share with the residents. Encourage the men to talk about their baseball or coin favorites and share how they acquired their treasures. Career Day – Gather a collection of photographs with a focus on jobs, occupations, and careers. (Also consider: colleges, military service, sports activities, clubs or organizations, hobbies or leisure activities.) Encourage the person to discuss the photographs and their past employment. Pass around various hats representing different careers and ask residents to talk about which occupation they think the hat belongs to. 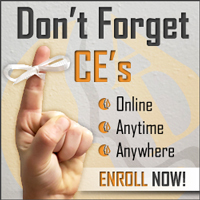 Share information about each career such as, educational requirements and potential earnings. I have had some struggles getting men to participate in activities since I have started. However, I went to the Activity Association meeting awhile back and one of the topics we chatted about was men's activities and there was actually a speaker that gave some good pointers so I have been trying to use what he had said. Some work and some don't but hey, it's a start right!! I really enjoyed reading the men's activities in the post above...super awesome ideas that I may steal!! You will also find greater success in terms of participation when your focus is on "matching" previous lifestyle pursuits and interests (identified from a comprehensive history review) to the many potential ideas and suggestions out there to incorporate in your calendar. You are not simply filling idle time - you are looking for something that is meaningful. Truth be told - I have seen increased participation and interest from the gents in the group whenever the event leader is also a gentleman. Thus, I have always promoted male volunteers and other male professionals to lead events to support that fellowship and camaraderie. This further supports person centered programming. Over the years we are seeing more and more gents joining both skilled nursing and support staff fields in healthcare creating a more balanced and diversified support system...and that is a really great thing ! I enjoyed reading this post. I find mens groups to be challenge as I work on a neighborhood with currently 28 women and 6 men. I look forward to implementing the career day activity on my neighborhood. A lot of my male residents are proud of the work they did and I think this would be a great opportunity to get them involved! I enjoyed this post very much! I always have a lot of woman come to my mens activities! That is the biggest issue that I struggle with. I enjoyed reading this post. Our department struggles with having men attend activities; and we are trying to change that! We have started to put on one men's program per week. We are trying to have our community come to us as we are a department of women and what kind of men's group is that. Thanks for the info and I cant wait to use some of it in the future. Hello Danielle, You wrote that you are a department of women - consider eliciting male volunteers to run gender appropriate activities. You can reach out to community senior centers, local libraries, town hall representatives, local car or bridge clubs and even finding resources through local real estate professionals. (Real estate pros are always looking for ways to self promote and connect within the community to generate future leads for home sales). Dont' forget to connect with local colleges for possible internships. Many schools require community service outreach as part of education. This was a great read. With some great ideas to try. It always seems a bit difficult to get the men into activities. Seems as though the morning exercise class does okay but then we struggle with the "men's only" activities. We have tried a few different topics but usually only get an average of 3 guys joining. Hoping we can get the guy's outside soon since the weather is warming up, even if the activity doesn't interest them too much they all seem to really enjoy getting outside and sharing stories. Men of the generation that are currently residencts in LTC now were once responsible for household earnings to put food on the table and give them shelter. Now that they are no longer expected to toll for the pay, they tend to feel like they no longer have a purpose; ultimately they need to feel useful again. Asking them if they would like to be responsible for doing things around the facility that would help others would given them a purpose again. Review their comprehensive assessments and make an inventory of past careers, hobbies, leisure pursuits. Focus on the skills that still remain and put them to use. Most importantly - give them praises often and if possible publically so they enjoy the praises from others as well. good work. How many men do you have? How many men do you think you need to have to create male related activities? If you are not planning anything for the gents, you would be failing to provide 'person centered' activities required by current regulations. Could those few men you have get together to create their own special club? Can you solicit male volunteers to sit with the guys to share stories, talk about sports, create a collector's club? Take the time to review their comprehensive assessment to learn more about their careers, past leisure pursuits, family, etc. - You are bound to come up with ideas for activities in which they would participate. You can do it!